The blog didn't get done last week due to lazyness but I do have a list of games that were played. Here goes! Arctic Scavengers, Coup, Falling, Lemonade Stand, Onward To Venus, Pit, Splendor and Timelines. Now on to this week. After the usual bank holiday slump we were back in full flow. We actually got a record breaking 24 people, up from 23 a few weeks ago. 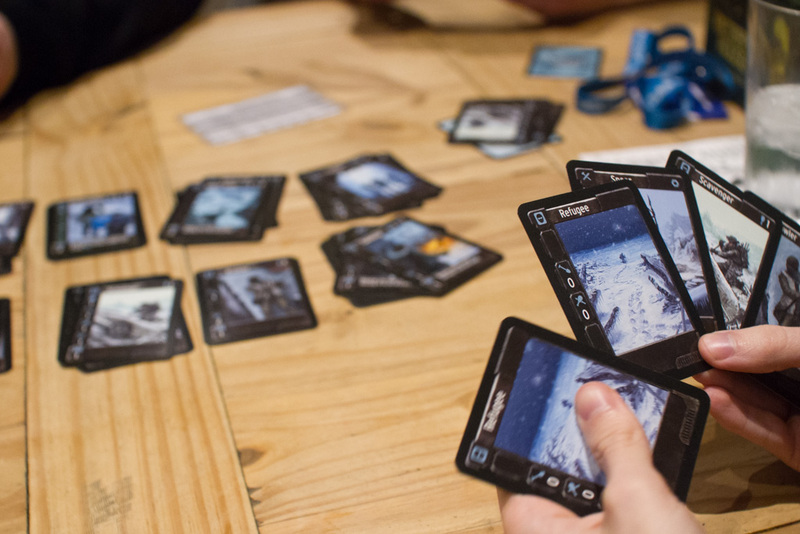 We had a bunch of games making their first appearance at IpBoG this week including The Walking Dead: The Board Game, Legendary: A Marvel Deck Building Game, Spaceteam and Zany Penguins. Zany Penguins is a game I picked up a few days before and hadn't got a change to play before. It's a 15 minute filler card game and I ended up playing six games of it. It played a bit like a multi player Lost Cities. I've heard it's kind of like a reverse Arboretum but I've never played that game so I can't really compare it. It has a terrible name, pretty average artwork, the slipperiest cards I've held (or at least tried to hold), but pretty good gameplay. Everyone seemed to like it and newcomer Matt even said he was thinking about buying it himself. 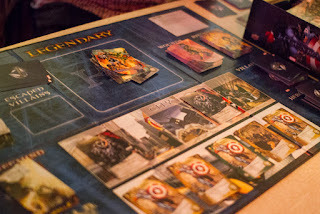 I also played Coup and Legendary: A Marvel Deck Building Game. I've not played this version of Legendary before but I have played Legendary Encounters: An Alien Deck Building Game which is similar but a bit more complex and much harder. The Marvel version is semi-co-op whereas the Alien version is fully co-op but the Marvel one is much to win. So much so I wouldn't really call it a co-op game, it's almost as if you're using the win condition as a timer to end the game. Steven had picked up Spaceteam which attempts to bring the digital game to the tabletop and labels itself as a chaotic and cooperative card game. Does it succeed? I don't know, I didn't play it, but kinda is what people seemed to say. It definitely had people shouting orders at each other and frantically running around the table. A bunch of regulars were played too including Falling, Lords of Waterdeep, Chinatown, Arctic Scavengers and King of Tokyo.